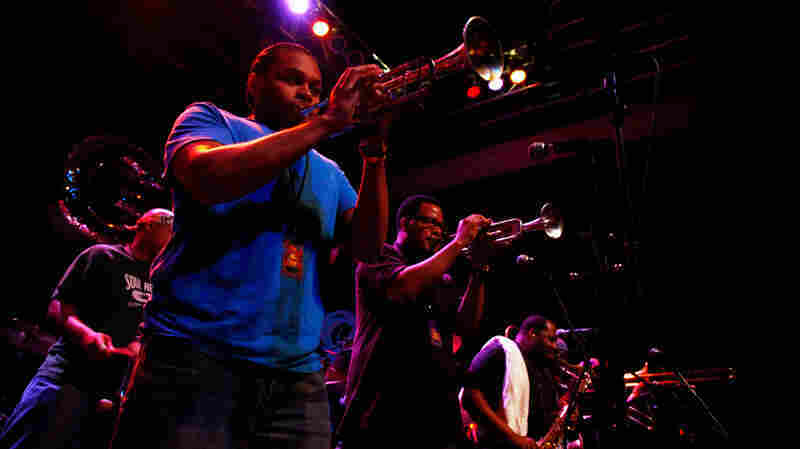 February 24, 2012  Washington, D.C.'s 9:30 Club was home to a night of New Orleans soul and funk when The Soul Rebels took the stage for a performance originally webcast live on NPR Music Feb. 23. 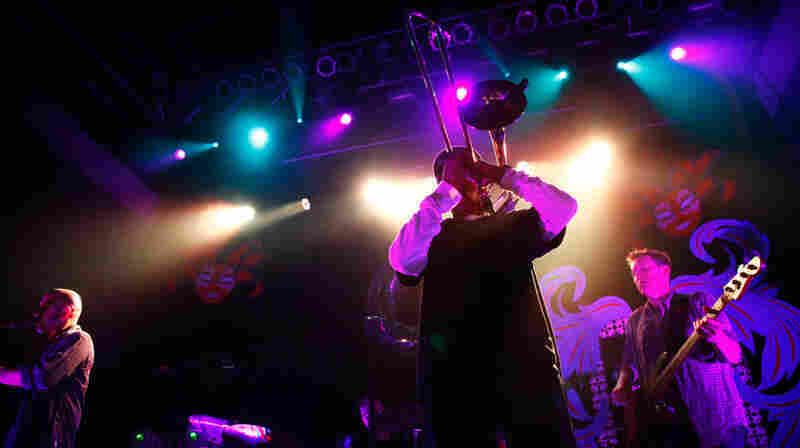 February 23, 2012  Washington, D.C.'s 9:30 Club was home to a night of New Orleans soul and funk when Galactic took the stage for a performance, originally webcast live on NPR Music Feb. 23. 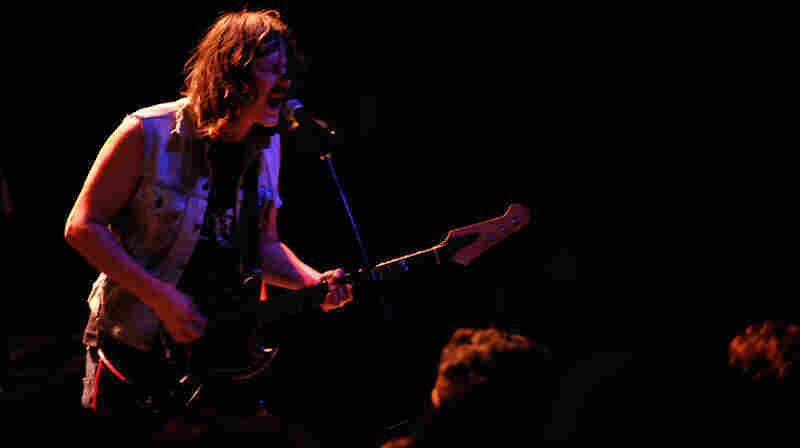 February 3, 2012  It got loud when NPR Music live webcast a concert by gritty rock duo, JEFF The Brotherhood. The band has an outsize sound, fueled by deafening guitar noise and trashy rhythms. 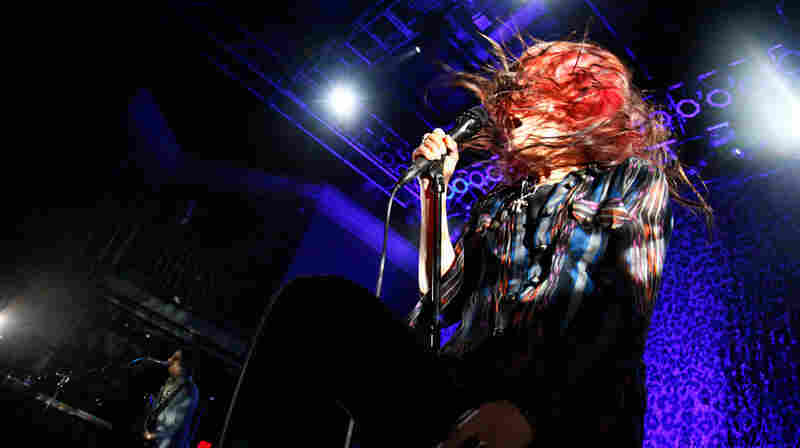 February 1, 2012  It got loud when NPR Music webcast a full concert from one of the grittiest rock duos of the past decade, The Kills. The band has an outsize sound, fueled by deafening guitar noise and trashy rhythms. 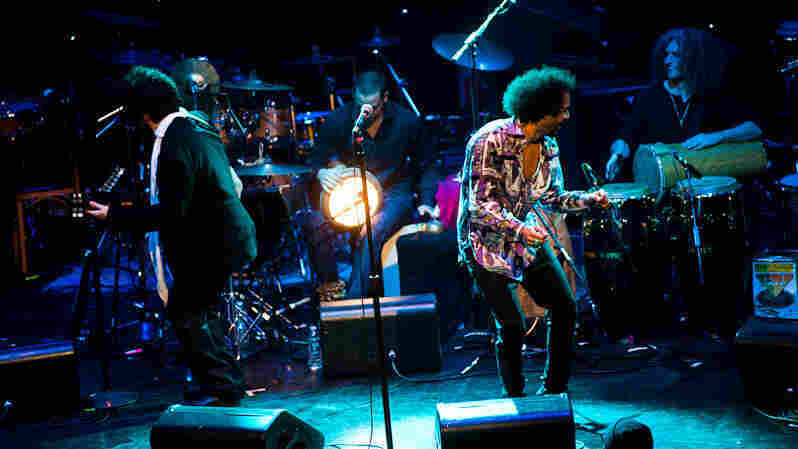 January 10, 2012  This Boston group takes the funky, psychedelic groove of 1960s Ethiopia and transplants it to a sweaty 21st-century dance floor. 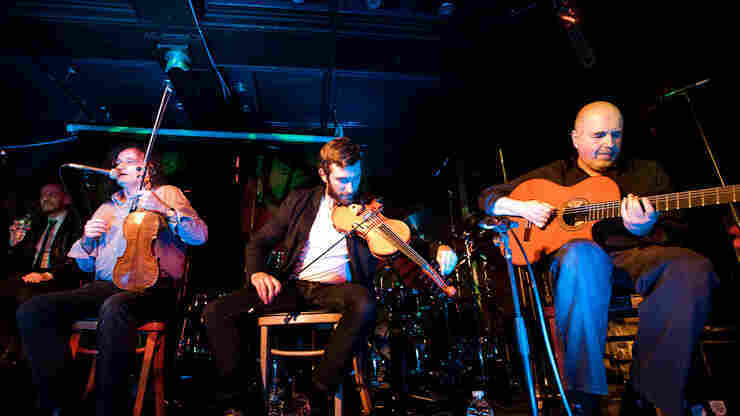 January 10, 2012  Hear a new project, featuring several top-notch Irish folk-music players, live in concert. 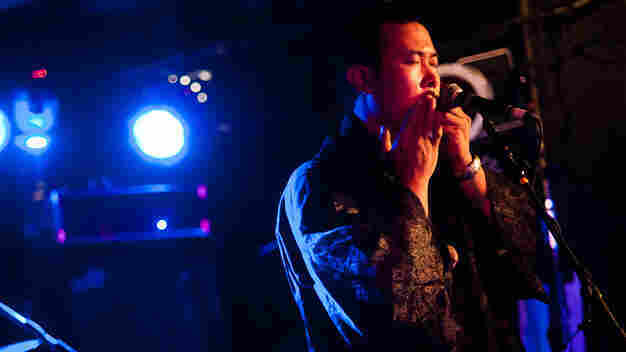 January 10, 2012  Hear this Chinese master of deeply felt and highly atmospheric music perform live in concert. 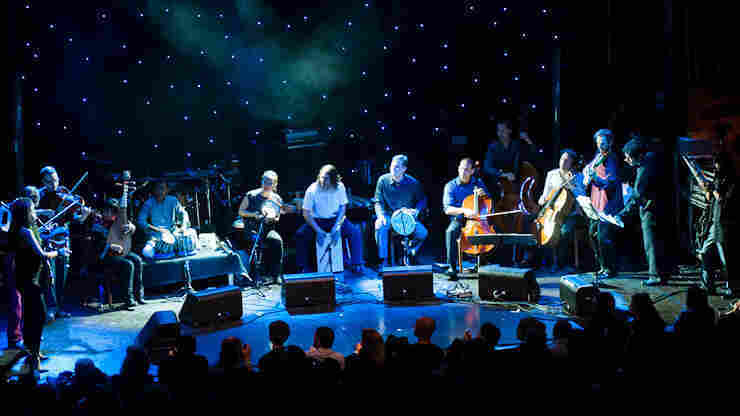 January 10, 2012  Hear the Ensemble's dozen-plus virtuoso musicians play a range of traditional instruments, spanning Europe and Asia. 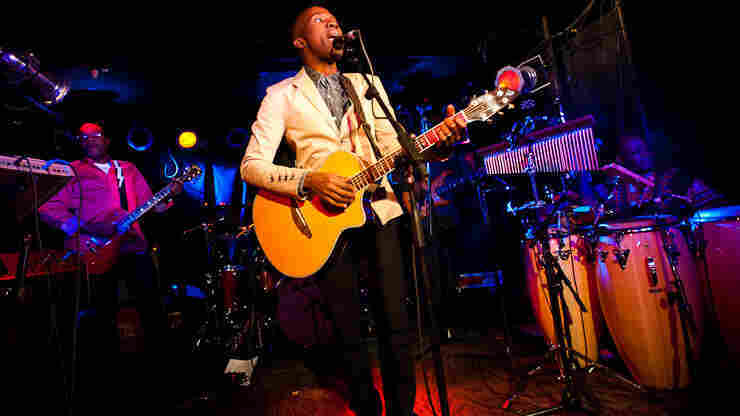 January 10, 2012  Hear BélO bring Caribbean undercurrents to socially conscious songs as he performs live in concert. January 10, 2012  Hear this engaging young singer, who hails from Cape Verde via France, live in concert. January 10, 2012  Hear M.A.K.U. 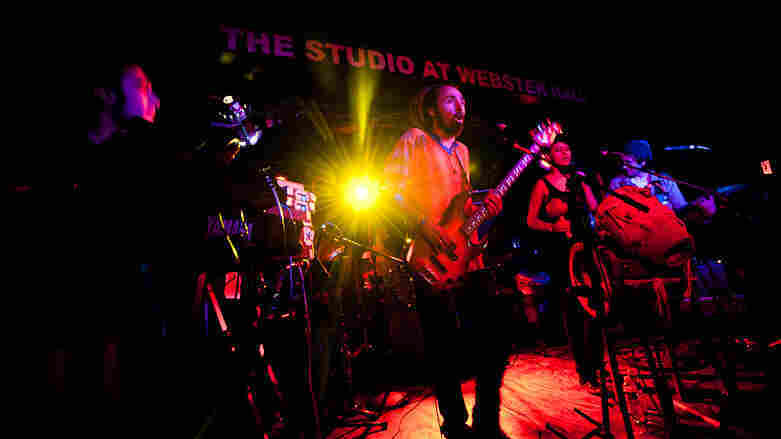 Sound System's punk, funk and jazz (via Afro-Colombia and Queens) live in concert. 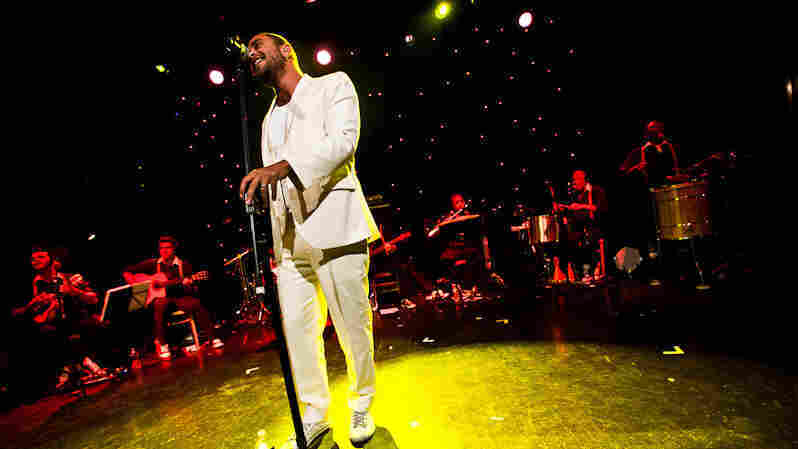 January 10, 2012  Hear the Brazilian singing (and soccer) sensation's smooth, Rio-style samba-canção live in concert. January 10, 2012  Hear Zaz's new-generation French chanson and gypsy swing style, performed live in concert. 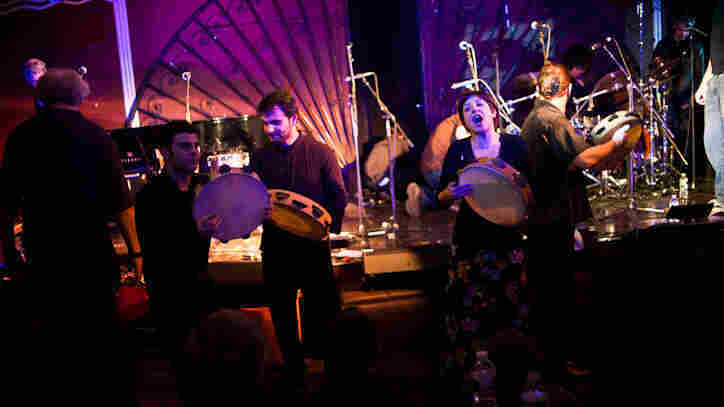 January 10, 2012  Hear traditional sounds from southern Italy that had a live audience hopping — literally. 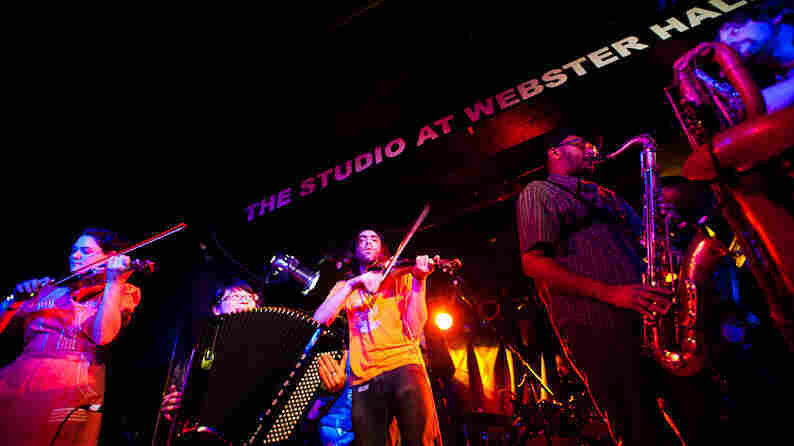 January 10, 2012  Inspired by sounds from Bedouin rhythms to New Orleans brass bands, the band plays live in concert.